This coming Shabat morning in every traditional synagogue, when the Torah service starts, not one but three scrolls will be taken out of the Ark and carried in procession. Arriving on the bema, the first Sefer Torah will be opened to the Sedrah of the week, Tazria, a detailed description of some laws of ritual contamination. The second scroll will be opened to the commandment of observing the New Moon, since this Saturday will be the first day of Nisan. And the third scroll will be opened to tell the special significance of this month, here called“the head of the months.” We can expect our services to end a little later than usual this week. Our religious calendar thus gives us an unusual combination of subject matter. Tazria introduces the concept that a mother’s blood in the process of delivery contaminates her. If her baby is a boy, for the next seven days she must not join her husband in union, until the day of the B’ris. In Temple times she was not permitted to enter the House of G-d or to eat sacrificial meat for the next 33 days. And if the baby is a girl, the time of the mother’s ritual contamination is doubled. Why the difference? Theories about this difference are varied, but it would seem to place special importance on the birth of a female who will grow up to experience the monthly cycle, and some day may also bear new life. That’s just part of the first reading. Tazria goes on to explore a skin disease which is considered to be the effect of spreading slander. Translated “leprosy” in our English bibles, it was not necessarily fatal in Biblical times, but whoever had it was sent to pitch a tent outside the camp. If anyone approached, the “leper” had to call out “taMey taMey – Contaminated!” to prevent contact with one who was tahor – pure. Not the most attractive section of Leviticus. But now comes our second Torah scroll with the special reading for Rosh Khodesh, the New Moon. Pious celebrants already greeted the skinny crescent last night, if the sky was clear enough. And Rosh Khodesh is traditionally a special happy day for Jewish women, a reward for their decision notto offer their jewelry for the creation of the Golden Calf. Finally we come to Sefer Torah #3 – the Maftir section called Hakhodesh – THE month. “This month is the beginning of months for you,” it says, “first of the months of the year.” Now we know when our year begins, don’t we? In the fall, right? 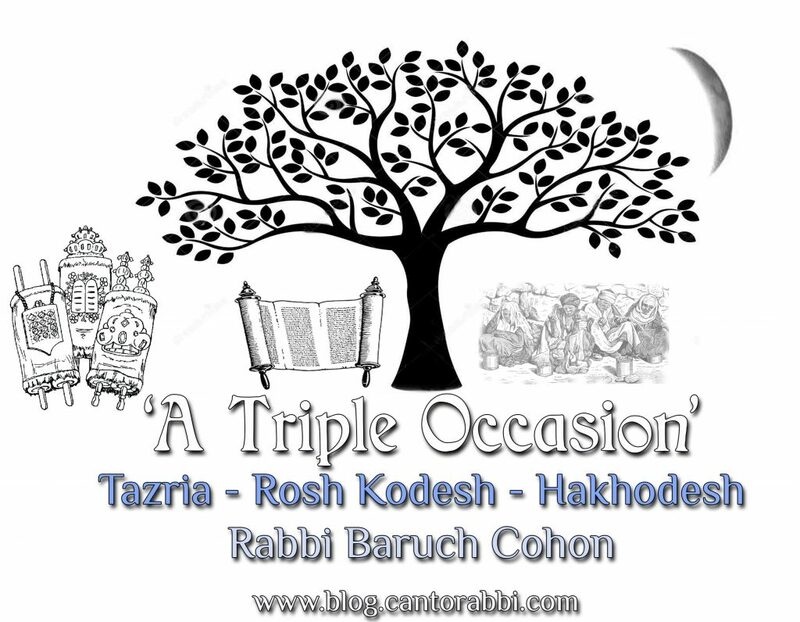 The first of Tishri — Rosh Hashanah, Yom Kipur, the whole High Holiday season! What’s this? This is Nisan, the holiday of freedom. Ask a good Hebrew school student to name the months of the Jewish year, and he’ll reply quickly: “Nisan, Iyyar, Sivan, Tammuz, Av, Elul” – not reaching Tishri until he goes through those six. In fact, the Talmud outlines no less than four New Years days in the Jewish calendar. The first of Nisan is called Rosh Hashanah lim’lachim – the new year for kings, from which we reckon the rule of the kings of Israel. Rosh Hashanah la’ilanot – the new year for trees – on the 15thof Sh’vat is still widely observed as a Jewish Arbor Day. The first of Elul was a time to bring tithes in Temple times. And the Mishna identifies the first of Tishri as Rosh Hashanah lashanim – the new year of years, as the religious new year when we are all judged by G-d. That of course is also the day when we change the year’s number on the calendar. Of them all, Nisan stands out as a month of celebration. No days of Atonement this month, just family feasts with special foods. And this Torah reading sets forth preparation for our Passover holiday, the feast of freedom. Today’s Haftorah gives us Ezekiel’s elaboration of the process, in a lengthy description of its future in the rebuilt Temple in Messianic times. A fitting introduction to Freedom Month. Shabat Shalom! 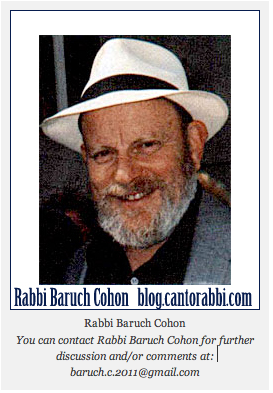 This entry was posted in Jewish Blogs and tagged bris, Celebration, Contaminated, Ezekiel, Freedom, Freedom Month, Jewish Arbor Day, Jewish Blogs, Jewish Festival, Jewish Traditions, Maftir, New Year for Kings, Nisan, No Atonement, Rabbi Baruch Cohon, Rosh Hashanah lashanim, Rosh Hashanah lim'lachim, Sefer Torah, Shabat Hakhodesh, Tahor, tamey, Tazria, Torah, Torah Blogs, Torah interpretation, Torah Law, Torah Study, Triple Occassion. Bookmark the permalink.